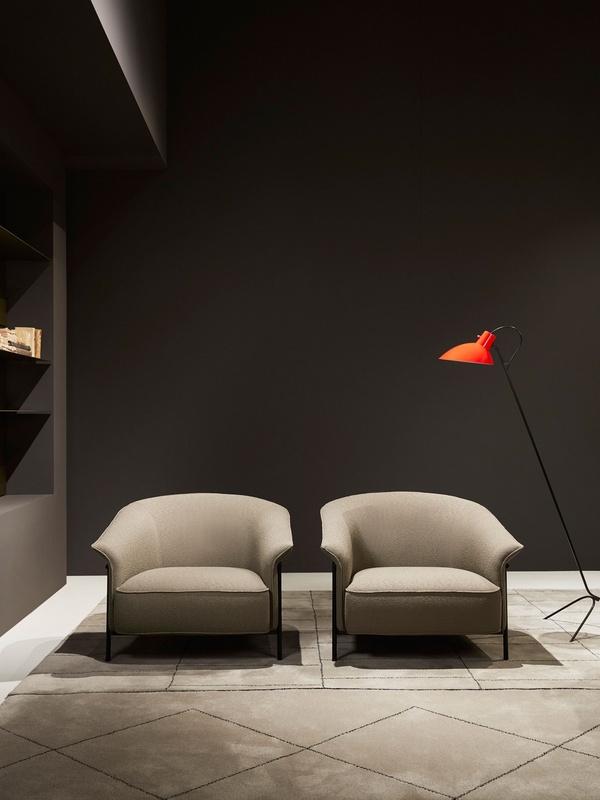 Designed by GamFratesi, Kite is an armchair featuring a plain and enveloping shape, with great comfort and well-balanced proportions, ideal for waiting rooms as well as for residential spaces – both in living rooms and bedrooms. 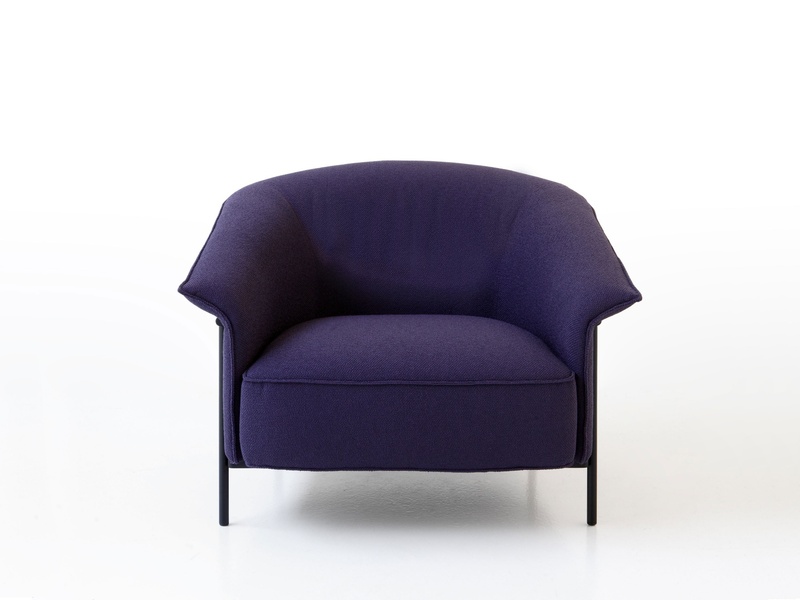 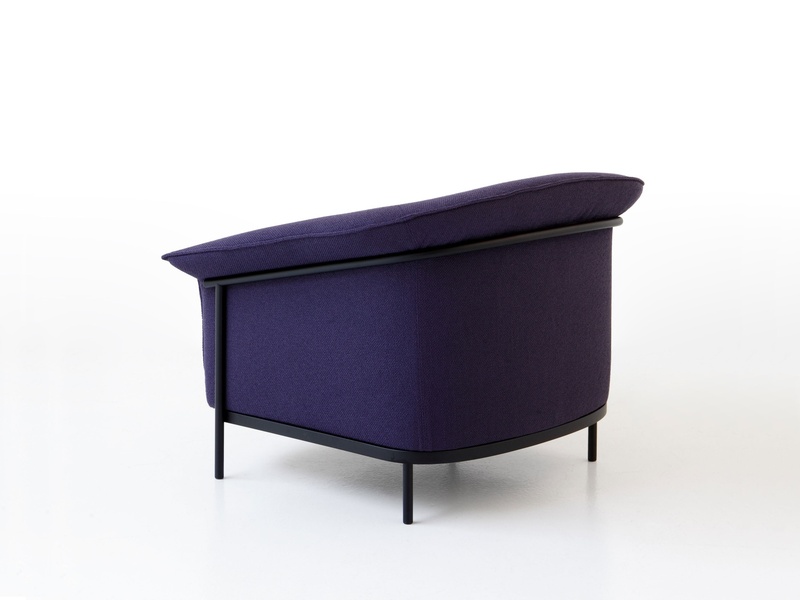 Kite features a black-painted metal structure that designs a simple set of lines in the space, holding a comfortable cushion and an enveloping backrest that is folded on the structure, thus creating a peculiar detail: an inviting armrest that reminds of the turned-up collar of a trench coat. 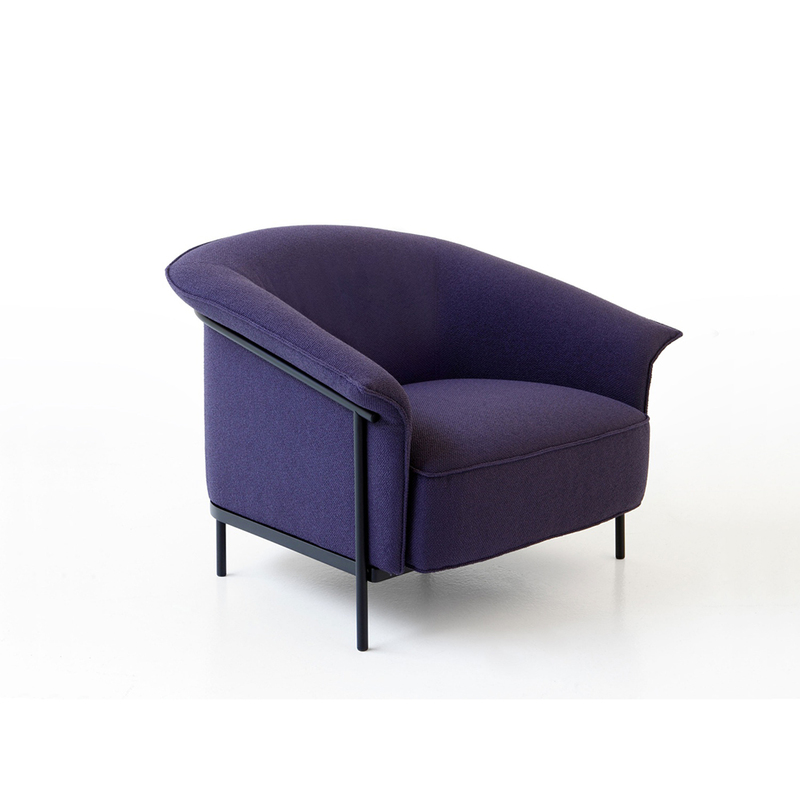 Kite is a product that results from the cross-contamination between fashion and design both in terms of design and in the variety of fabrics, leathers and faux leathers by Porro that can be mixed and matched on the backrest and the seat to create endless combinations.